2. Place pumpkin into a microwave-safe bowl, cover with water and cook in the microwave for 3 minutes or until slightly softened. Drain and add zucchini, spring onions and spinach. 3. Lightly beat eggs and milk, pour over the vegetables and season. 4. Sift flour and baking powder over the top and stir until just combined. 5. 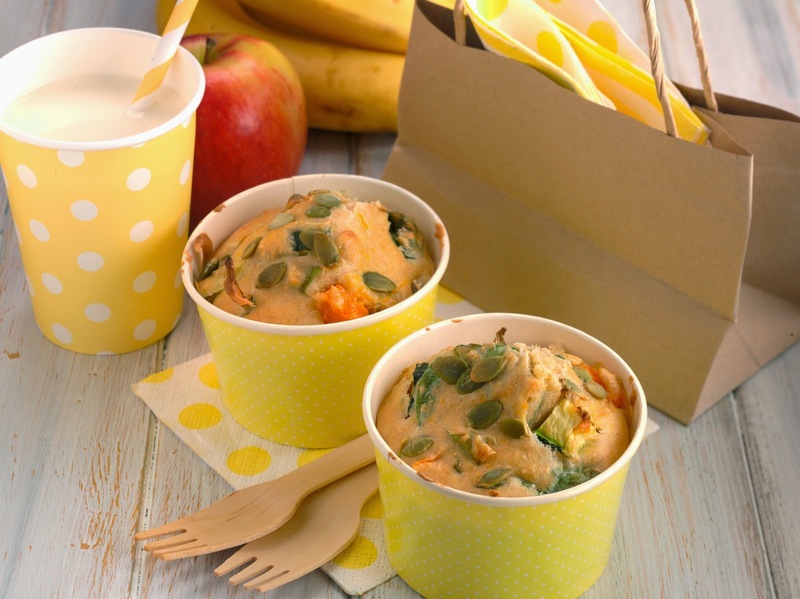 Spoon mixture into baking paper lined, non-stick muffin trays, sprinkling with pumpkin seeds, and bake for 25 minutes or until done. Chef's tip: For an indulgent variation, crumble low fat fetta and chopped sundried tomatoes into the mix. Serve with low fat cream cheese.